As we enter our third year of Shared Governance at NJIT, we are pleased to bring you up to date on what has occurred this fall within your representative areas. Below you will find your elected Executive Officers, the areas they represent and the standing committee(s) on which they serve. We are thankful to our board members for their commitment and service to the Administrators Council and to our constituents for their participation and feedback throughout the year. The majority of concerns received by the Administrators Council will be directed to the attention of the most relevant Standing Committee(s). For example, an issue relating to the university budget or financial business processes would be brought to the attention of the Committee on Finances. Issues relating to student life, health and safety or special events would be brought to the Committee on Campus Life. Issues relating to parking and local traffic would be brought to the Committee on Facilities. In some cases, issues may concern more than one Standing Committee and would be brought to the attention of each involved. The complete list of Standing Committees including their charge and purview is found within the University Senate By-Laws. The primary purpose of the Administrators Council is to ensure that recommendations, issues and/or concerns related to the general welfare and improvement of Administrators Council constituents (i.e., non-academic/non-faculty matters) at NJIT are heard and channeled to the appropriate University Senate/Committee. NJIT administrators, at or above the level of Director and below the level of Vice President, are represented by the Administrators Council. The process for having concerns addressed by the Administrators Council constituency is shown in the below diagram. 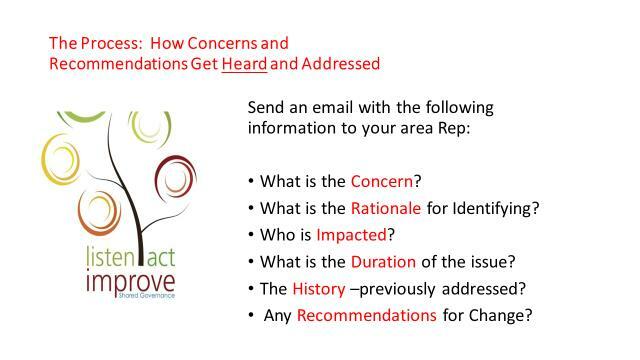 If a concern cannot be resolved at the Committee level it is sent to the University Senate for further discussion and resolution recommendations. Carry-over items from last year that the Administrators Council will continue to seek to improve will include: work efficiencies (such as making electronic forms more compatible); information systems integration; and enhancing NJIT’s university culture of supporting a positive and successful work environment. Moreover, as the Administrators Council’s constituent base has grown to more than 150 employees, effective governance is entirely dependent on the robust engagement of the Administrators Council membership. This is why increasing membership participation is the Administrators Council’s number one priority for the year ahead. This year, a questionnaire will be sent to all of our members requesting feedback and input on identifying the issues of greatest importance to the university. Please take the time to complete and submit the questionnaire so that your voice will be heard. All of the Administrators Council meeting Agendas/Action Minutes are posted on the Provost's Office Shared Governance webpage. We encourage you to review these materials to stay apprised of current discussion topics.